I felt rather rugged in yesterday's get-up, particularly with the addition of my furry jacket. It seemed appropriate for the downright cold weather we've been having. The layers kept me nice and cozy! I love how you did your hair in these pics! Also those boots are awesome. Love the fall colors and those are great booties! Such a cozy looking outfit! These colours are absolutely perfect together. This looks so cute and comfy! 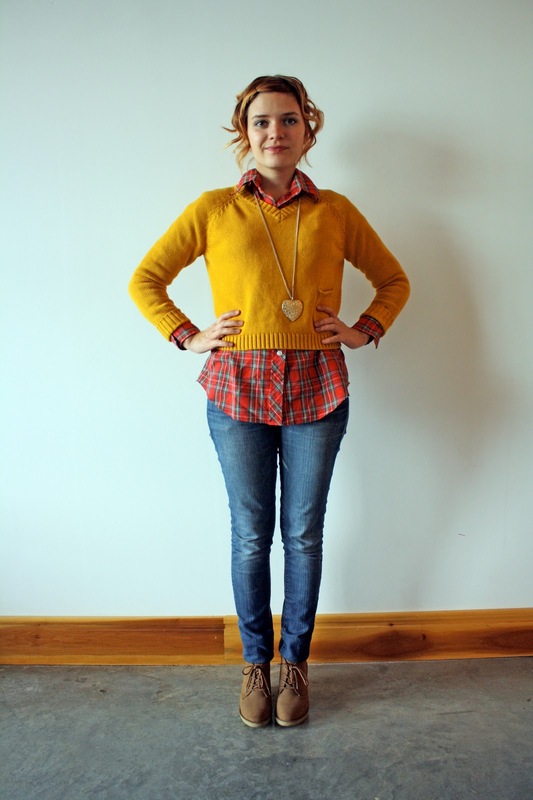 I love that mustard sweater paired over the plaid top. Super cute combination. 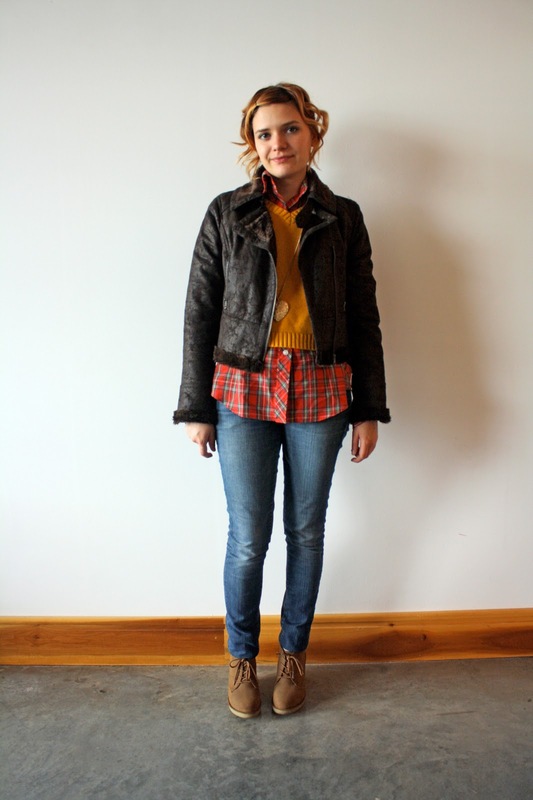 Mustard and plaid! I love it! Love the fall inspired outfit! The yellow sweater is great! Such an adorable outfit! I love the plaid - it's perfect for the fall. Those booties are also oh so perfect. I know I have been on the hunt for a pair like that for a while. I love how you paired them with the casual denim. I will definitely have to keep that in kind as a source of inspiration later. Thanks for sharing!